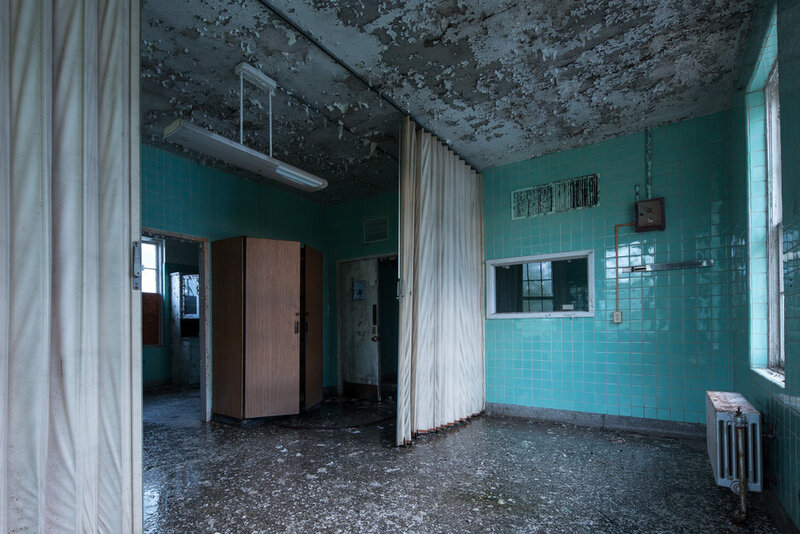 It's been quite a few months since I have set foot inside an abandoned asylum. This particular one was beautiful. Loved the way the blue-green tiles let the color bounce around inside this medical ward.